Oppo and Vivo are stealing the headlines for their latest flagship phones. BBK Electronics, the holding company for both the brands, has previously been known for introducing phones which have identical specifications and design, this time is no exception. 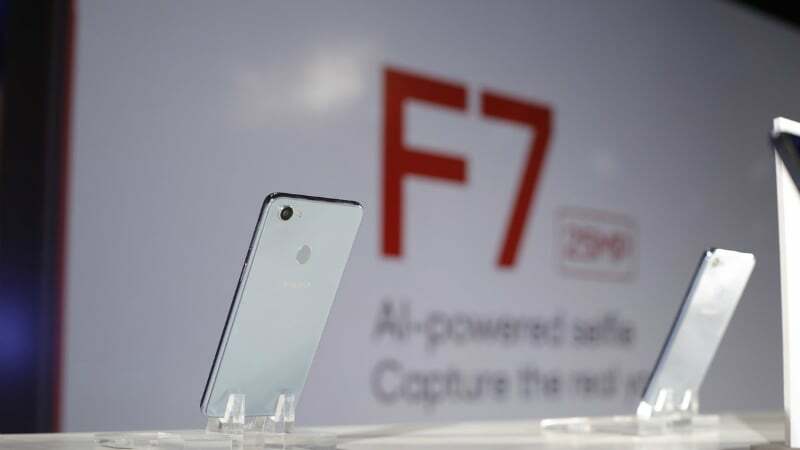 While Vivo has launched its V9 smartphone, Oppo has come up with own take on the similar smartphone, the Oppo F7. The highlights of both the phone happen to be the 19:9 aspect ratio screen and the iPhone like notch which both the phones proudly sport. In this article, we take a deeper look at the specs of both the phones and make a thorough comparison for the same. The Oppo F7 which comes with the 19:9 aspect ratio screen has a resolution of 1080 x 2280 pixels. On the software front, the phone runs ColorOS 5.0 on top of Android 8.1 Oreo out-of-the-box. The 6.23-inch screen can display a dynamic range of 16 million colours. The device is fuelled by the 64-bit SoC which is an octa-core processor. Speaking of the memory, the device uses 4GB RAM and 6GB on the special edition version. Also, the internal storage is of 64GB which is expandable to 256GB via a microSD card. The processor used to power the Oppo F7 is the MediaTek Helio P60 which was announced at the MWC 2018 event last month. The processor is manufactured on the 12nm process, and the Oppo F7 is the world’s first smartphone to feature the SoC. Speaking of the camera, which Oppo clearly puts an emphasis upon, the device comes loaded with a 16MP shooter with f/1.8 aperture and AI scene recognition. The selfie camera which has been the highlight of Oppo phones since its inception possibly lives up to its reputation with a 25MP camera, along with f/2.0 aperture, a CMOS sensor which is also equipped with a real-time HDR feature. The device is powered by stamina based 3400mAh battery. The Oppo F7 comes with sensors like ambient light sensor, accelerometer, fingerprint sensor, and proximity sensor, but misses on the gyroscope. The F7 also doesn’t lack connectivity options as the phone comes with all the channels which include Bluetooth, Wi-Fi, 4G VoLTE, USB OTG, and GPS/ A-GPS. Next on to the Vivo V9, this phone has a 6.3-inch Full HD+ display with the same resolution as the F7 (1080 x 2280). Oppo calls the display as IPS ‘FullView Display 2.0’ panel which comes with the aspect ratio of 19:9. For the software, the Vivo phone runs FunTouch OS 4.0 on top of Android 8.1 Oreo out-of-the-box. The device is powered by the powerful and efficient Snapdragon 626 SoC. The memory on the device is 4GB of DDR3 type and is paired with 64GB of internal storage, which is again expandable via Micro-SD card, up to 256 GB. Speaking for the camera on the Vivo flagship, we get to see a dual camera setup which is made possible by the combination of a 16MP primary sensor with a f/2.0 aperture and a 5MP secondary sensor with a f/2.4 aperture. For the selfie, the Vivo V9 gives a solid fight to the Oppo F7 by providing a 24MP camera with a f/2.0 aperture, Face Beauty App, Ultra HDR mode and also a front selfie flash for clicking good selfies in low-light. As for the battery, the Vivo V9 remains slightly less powered comparatively than the Oppo F7 with a 3260mAh battery. 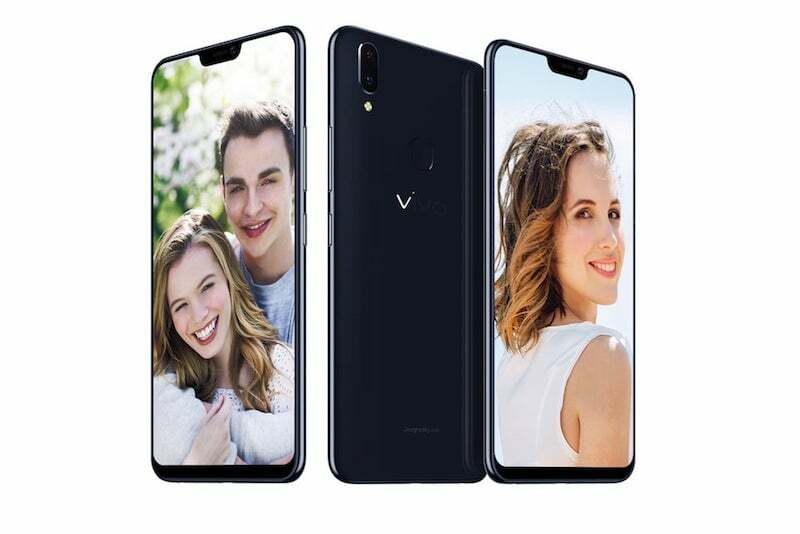 For the connectivity, the Vivo V9 comes with 4G VoLTE, dual-band Wi-Fi, GPS/ A-GPS, a 3.5mm headphone jack, a Micro-USB port, and Bluetooth 4.2. As for the sensors on the phone, the Vivo V9 comes with all the sensors like the Oppo F7 plus the gyroscope and the compass. It will be exciting to see with two smartphones competing so closely on all the levels, which phone will the country prefer more. The Oppo F7 comes in two variants, first one with a 4GB RAM and 64GB of storage and the second one with 6GB of RAM and 128GB of storage. Both the phones go on sale on April 9. The first variant which comes with 4GB of RAM is priced at Rs 21,990 and the second variant with the 6GB RAM is priced at Rs 26,990. 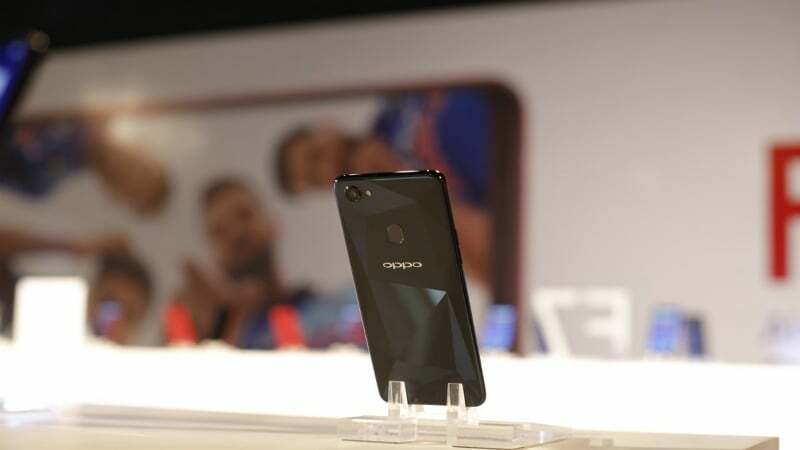 Also, to build the hype and boost the sale of the product, Oppo has brought the limited editions of the phone which come in two colours – Diamond Black and Sunrise Red. However, these colours coming under special edition will only be offered at selected Oppo stores. To kick off the sale of the flagship, Oppo has stocked 10,000 units of the phone which will be available across Flipkart Flash Sale and across 777 stores all over India. Also, as an offer ICICI credit card users will be eligible for 5% cashback offer. Customers will also be offered one-time screen replacement, 120GB data from Reliance Jio and also a cashback offer worth Rs 1,200 which can be redeemed over a period of 12 months. Vivo V9, which only comes in a single model and has no more variants, comes at the price of Rs 22,990 for the 4GB/64GB model. For the Vivo flagship, the V9 pre-ordering has already gone live on Amazon, Flipkart, Paytm and Vivo’s own online store. 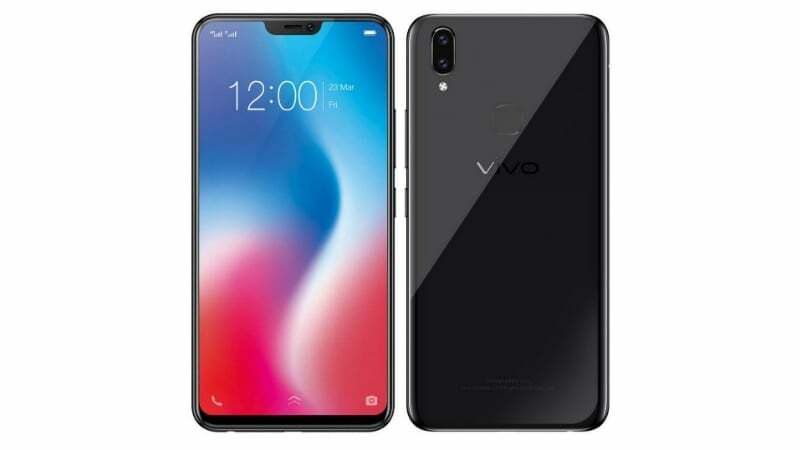 Customers who place orders before April 2 will have a certain upper hand on availing offer for the Vivo V9, as they will get a free screen replacement warranty, an additional cashback offer of Rs 2,000 which customers can avail along with the no-cost EMI option. Also, buyers who use Paytm to buy the phone can get a very attractive cashback of Rs 2,299 using the promo code ‘VIVOV9’ and a 5% Amazon Pay balance is eligible for on purchases through Amazon.in. Customers who buy the device through Amazon and Vivo-E-Store will also be entitled for the BookMyShow movie vouchers. The smartphone will be available for sale starting April 2.